Find all Word Stacks answers here. We have the words you need to solve your Word Stacks level. This may help you to get further when you are stuck at this game. Get the solutions for the difficult levels now. With over 2000 levels for this game you can use help in some cases. We will keep these answers updated for you so you can always find the words you need. Browse through the answers below to get the words for your Word Stacks level. We have every solution you need so there is no need to be stuck. Have fun playing! If you want to have this game for your device then download it now for your device. Playing Word Stacks is easy, but winning is a lot harder. You need to find the word that fits the clue you get. The clue is something like “Smell before buying”, then you need to find the words that belong to this clue. Now you can find the words “flower”, “perfume”, etc. When you find all the words there will be a next level. Words of Wonders has more than two thousand levels so you will have fun for a long while. 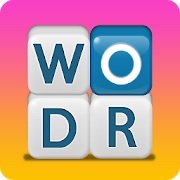 Give it a try, we are sure you will like Word Stacks. But don’t get mad or frustrated when you can not solve a level. We have all the solutions for Word Stacks you need. With the solutions we provide you know that you can finish every level. Want to know more? Watch this movie to see how Word Stacks works. This will make it all clear to you.